This season’s theme that you will immediately tire of is Heroes vs. Healers vs. Hustlers based on “how the world sees them,” which is even more nonsensical than usual. 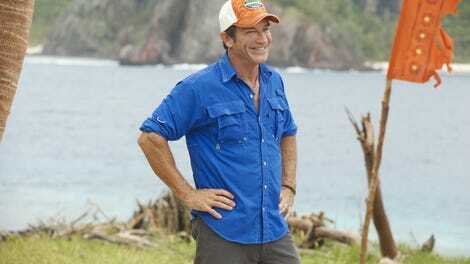 At least Jeff Probst welcomes us to the nonsense from the top of a very tall mountain. Adventure! What does everyone think about the big supplies scramble at the beginning? I generally find it to be a giant waste of time and would rather have more time learning about the new cast members than watching people grab pineapples and steer a boat incorrectly. Immediately the Heroes tribe decides that the person they need to get rid of is the middle aged women, because Survivor is apparently always Survivor, no matter who the hell plays it. 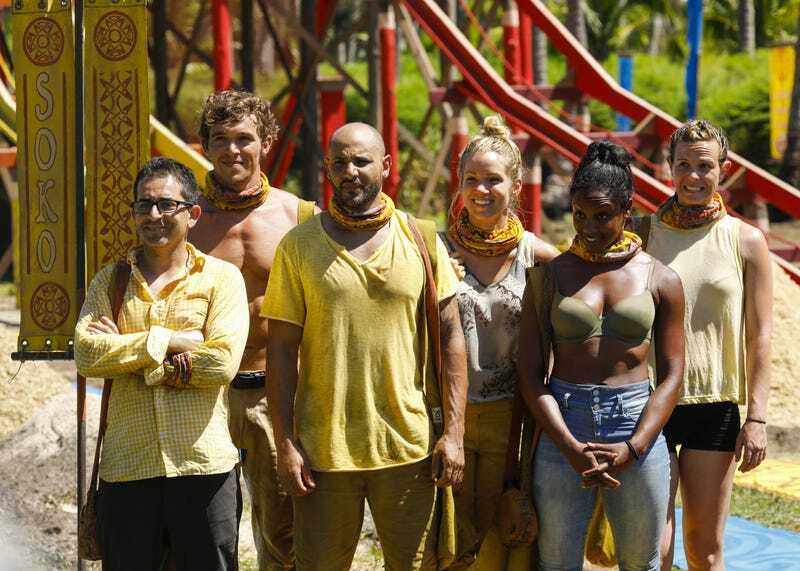 Ryan from the Hustlers tribe found an advantage on the boat – an Immunity Super Idol, which is an idol he can play after the votes have been read. The twist? It’s only good for the first Tribal, so f his team doesn’t go he has to give it to someone on the losing team. This is an interesting little twist. Are people paranoid faster this season? Between Joe interrogating Mike about looking for an idol and Alan’s concern about JP and Ashley, there is a lot of suspicion being thrown around, and quickly. Alan made JP strip to prove he didn’t have an idol! That’s intense. The challenge is a fun one with a nice twist at the end with the different puzzles, and the end is fairly exciting considering we’re just watching balls go into holes. The Heroes lose in a tight race, which means Ryan has to give his Idol away. He chooses it to give it to a “weaker” player—Chrissy—which is an interesting choice that I like a lot. Suddenly the show choosing to show Chrissy vomiting after the Immunity challenge makes so much more sense. “Whatever they’re trying to do, I’m blowing it up.” Alan went from in Ashley and JP’s alliance to their mortal enemy so quickly that we didn’t even get a chance to blink. The swing vote in all of these seems to be Ben, who can’t decide to go with strength (Ashley/JP) or loyalty (the middle aged moms, Chrissy and Katrina).